My sister has been learning how to use my old DSLR in manual and it's been a slightly hilarious sister-bonding activity. We'll repeatedly go over what aperture, shutter speed, ISO, and f-stops are and if you know me and my love/hate (mostly hate) relationship with repeated conversations, it makes from some slightly hilarious moments. Lots of sighs on my part and lots of questions from my sister. But as long as my dad doesn't overhear it (who hates any sort of argument--or as we call discussion--that us sisters engage in), we're a-okay. 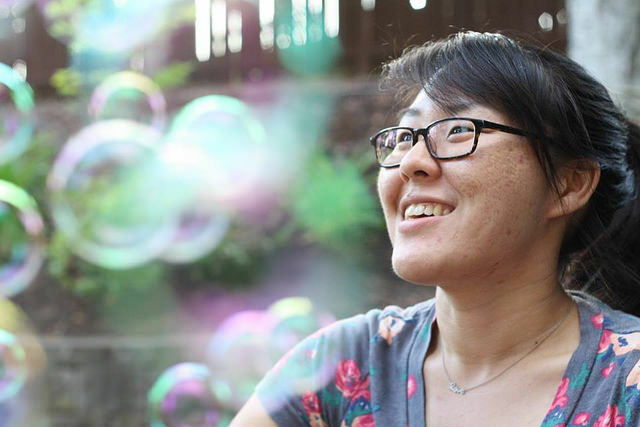 Earlier this month my sister and I pulled out my $10 bubble machine and we took photos upon photos of bubbles, each other in said bubbles, and with bubble soap all over our hair and glasses. And while we're both still learning, we both walked away with some pretty fun bubble-filled profile pictures. I feel your dad.... I can't handle "discussions" either. Ha! What a fun bonding exercise! Ha. The pictures are really fun - definitely loving bubbles!! stahhhppp you're gorgeous & i love these photos, the creative element is fabulous! also i love that y'all are really LEARNING how to use the camera. i dont know why i don't know everything about mine yet...i more go about it as "feel" which i know is totally wonky and NOT professional haha. Love the selfie! I've been wanting to learn more about photography, would love to have a friend to practice with. P.S. where can one get a bubble machine? So pretty! What a good idea! It's so fun that you are able to teach your sister! These are SO fun! I love bubbles. Aw, thanks! We loved playing around with the bubbles and we're looking forward to using it in future shoots, too! :) And I'm by no means a pro at my camera--I mean, I shoot in Manual and understand the settings, but ask me what all the different menus are on my camera? TOTALLY different story!! And I bought mine off of Amazon! I've heard they're sold at Walmart and possibly Target, too! Bubbles are THE best. I truly believe that they're a fun activity for people of ALL ages! I was really surprised by how they all turned out! 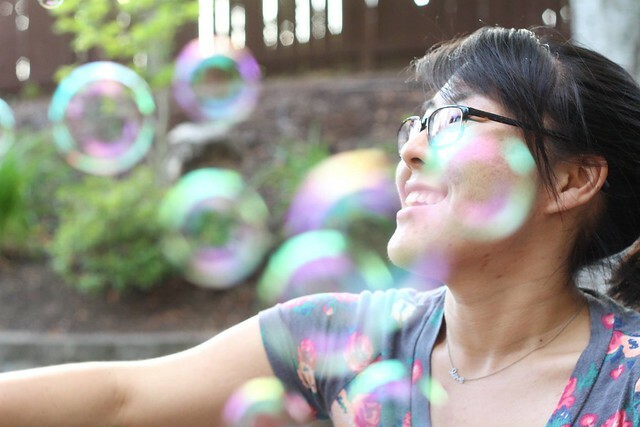 I think bubble machines are the BEST investment--for photoshoots, kids, and for just plain fun!